Sarah has just arrived in Yuzhno, the capital of Sakhlain island at 6.30am having cycled through the night to arrive here. 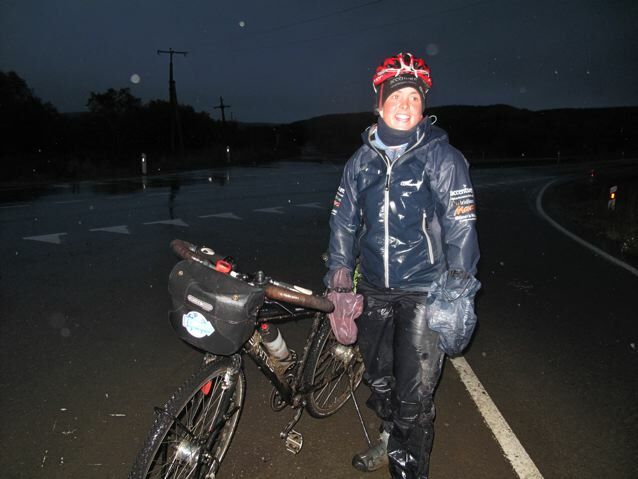 She pedalled a total of 266km in about 21 hours. She is now in a comfortable bed sound asleep, after being awake for 23 hours. She just managed to have a shower, eat some eggy bread and drink tea before falling asleep with her mug of tea in her hand. (Dont worry, we removed the mug). She will no doubt stay in bed until she has a massage this afternoon. It rained most of the night so Sarah was using drybags to keep the wind and rain off her hands. She had bubblewrap (and her mum’s ‘happy socks’) around her feet to try to keep them warm. 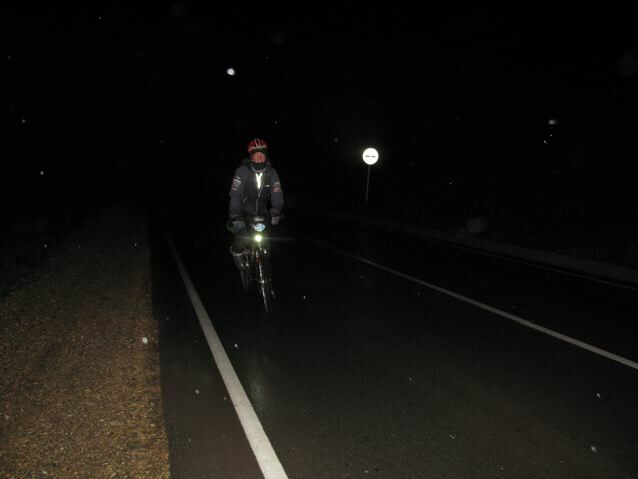 She said she nearly feel asleep once on the bike and was very very happy to be in Yuzhno. A warm bed is one hell of an incentive when the alternative is sleeping in a wet tent. You are one tough young lady, Sarah. Seeing your exhaustion, but the words on your hat say it all… “Performance Delivered” – and you certainly have. Absolutely fantastic! 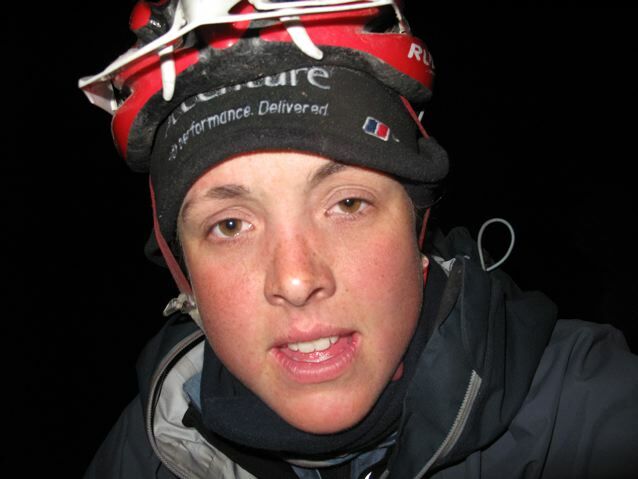 Wow Sarah I’m astonished by this night cycling marathon! Absolutely amazing, reminds me of a night slog in the mountains of south China until I could find a hotel. But this was nothing compared to your cycling. Interestingly, I see that Rob Thompson is helping with the Japan leg, I had he honor of hosting him in China for a night towards the end of his epic skateboard journey. Actually, speaking of China, you know your website is blocked on the mainland eh? You must be famous. I’ve been needing a proxy to access it! goal. May God be with you every inch of the way. I’ looking forward to coming to Japan. My wife, Audrey, and I saw you give an inspirational talk at Culford School earlier this year and unbeknown to you she had terminal cancer with only months to live. We were the only adults in the audience of young people who were clearly entranced by the account of your row across the Indian Ocean. Audrey gained much strength and determination from your presentation and made sure that I logged on to watch your progress on the current expedition at regular intervals. Sadly, Audrey died in August but you do need to know in those moments when you are feeling low that your influence on others is immeasurable and you are an inspiration to people of all ages – Audrey was 69 when she died. Stick with it, good luck and God Bless.